To event organizers Donna Loftin, Heather Wood and Vonda Lowrance, the Central Arkansas Buddy Walk® is a “Celebration of our loved ones with Down syndrome; an opportunity for all of us to get together and celebrate their lives, and raise funds for advocacy.” Heather got involved in the walk four years ago, when a friend of hers started the walk and asked for help; and Heather took it from there. Donna and Vonda joined the Buddy Walk® planning team through their connections with Heather. The walk has grown significantly since its first year, tripling in participation. “Our turnout last year was phenomenal; it’s a really good feeling knowing that you’ve done this for your kids and others’ kids with Down syndrome,” says Donna. 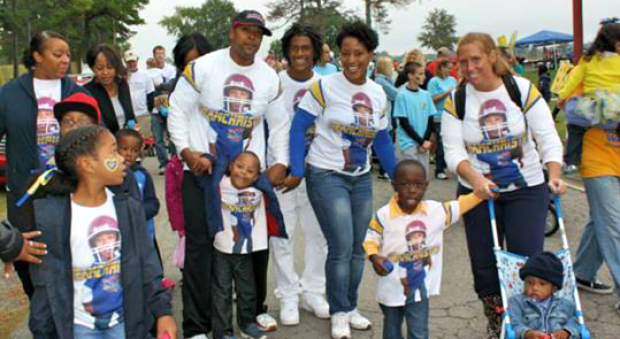 This year, the walk will be held on Saturday, October 17th at Lake Willastein Park. Registration will open at 1pm, and participants who pre-registered can pick up their t-shirts. “Seeing everyone take the first step of the walk each year cheering their team members on, there is something so special about that moment; it gives me chills,” recalls Heather. Donna and Heather describe the event as “a celebration, a party atmosphere; come and be who you are, hang out and dance and have fun, dress up as whatever your team is and celebrate how you want to celebrate.” Funds raised from the Central Arkansas Buddy Walk® go right back into the community. They help fund programs for Special Olympics, Miracle League and many other groups. Some of the funds do come back to CABT to fund events they host and provide support for families with medical needs (ex: if someone has a child in the hospital, they will provide meals, gift cards, etc. for the family). 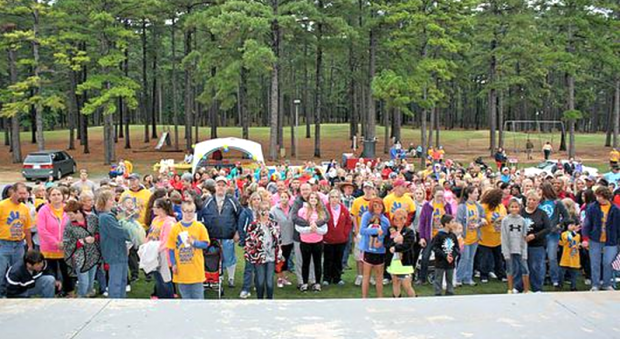 CABT has a goal of raising $20,000 for the 2015 Central Arkansas Buddy Walk® to continue to provide and expand their support for the local community. They’re encouraging individuals, whether or not they know someone with Down syndrome to come on out and support the event. 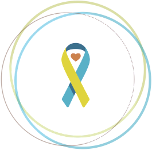 When the self-advocates and parents of children with Down syndrome see all of the participants, it gives them the reassurance “I’m not alone” and there are many people who are supporting them on their journey. To join in on the fun at the Central Arkansas Buddy Walk®, please register or donate via the Stride site: https://www.ds-stride.org/centralarkansasbuddywalk. To learn more about Central Arkansas Buddy Talk, please visit http://www.arbuddytalk.org.